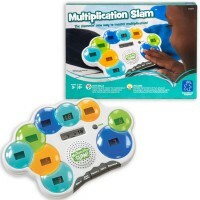 The Math Slam Electronic Math Game by Educational Insights is a fast-paced game that will challenge your counting skills. Slam a number and show that math equation who's boss! 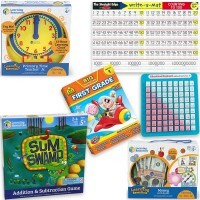 The Math Slam Electronic Math Game by Educational Insights is a fast-paced game that will challenge your counting skills. 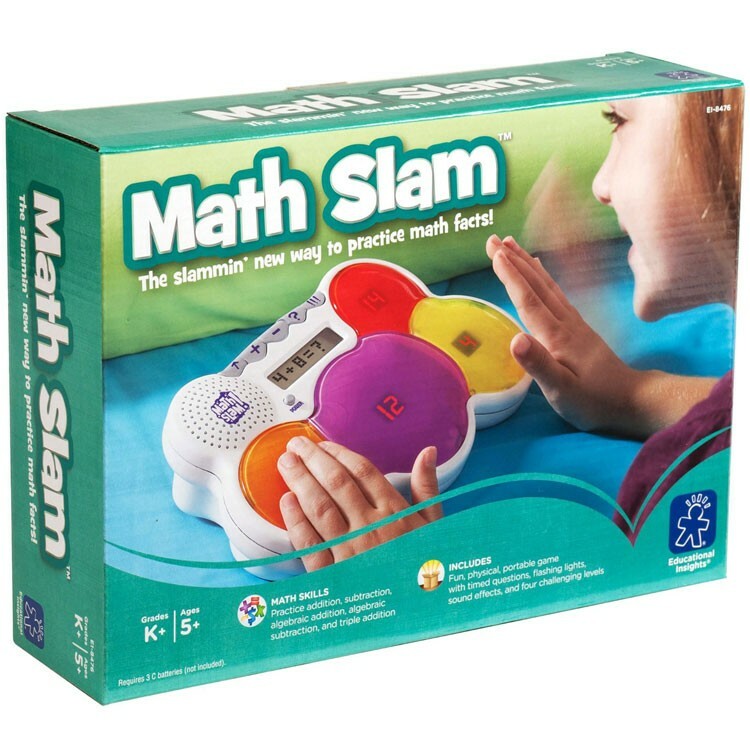 Offered by Educational Toys Planet, the Math Slam Electronic Math Game is a cool electronic activity game featuring a large LCD screen that displays a numerical equation. 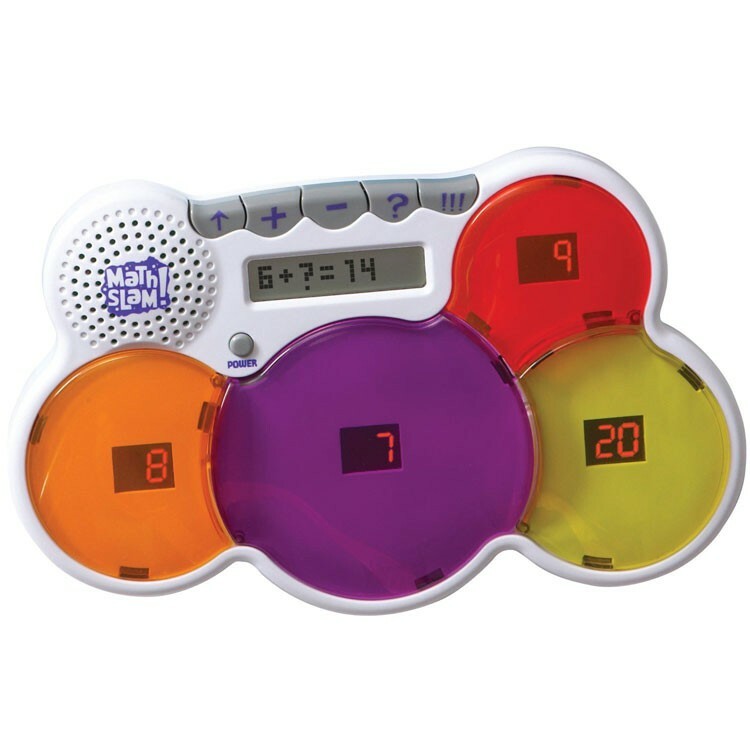 Different answer choices appear in the oversized light-up buttons. 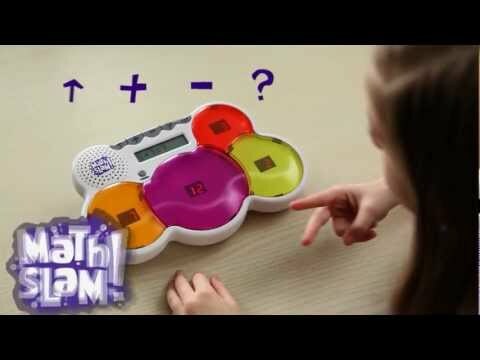 It's up to you to slam the button with the correct answer. 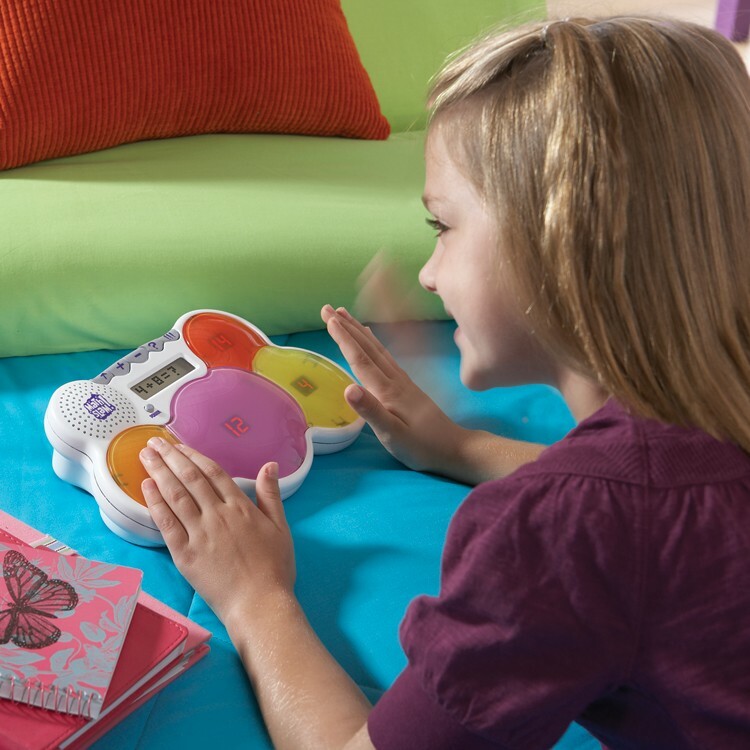 The quicker you answer correctly, the more points you will have at the end of the timed game! 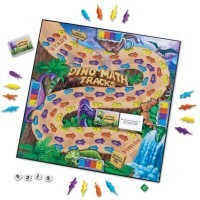 Including multiple skill levels, flashing lights and cool sounds, this Educational Insights game is sure to keep kids of all ages and skill levels entertained. 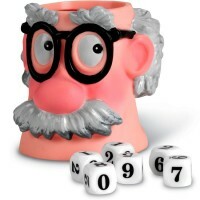 Challenge your arithmetic skills, while having tons of fun! 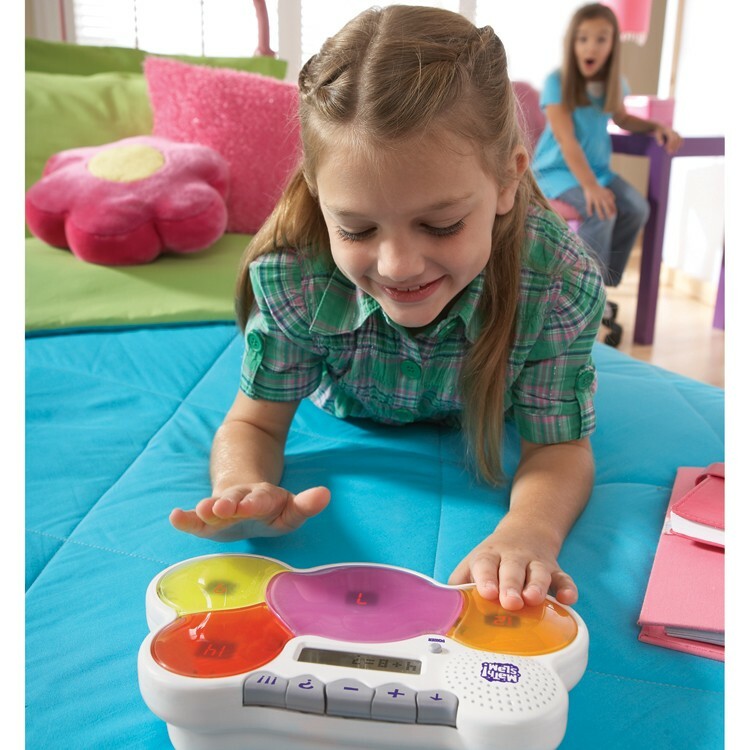 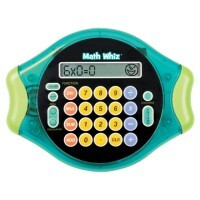 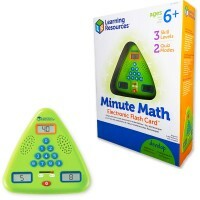 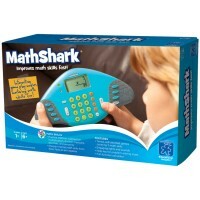 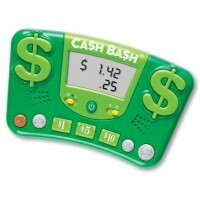 This math learning toy requires 3 C batteries (not included). 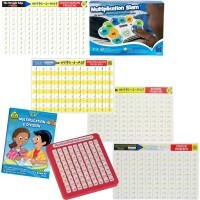 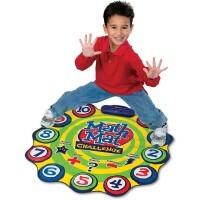 Dimensions of package 7.7" x 10.5" x 2.9"
Write your own review of Math Slam Electronic Math Game.